Memorial Day, Independence Day and Labor Day CANADIAN CENTURY Rides; details below. From ROCK 'n' ROAD Cycle Grand Haven every Thursday at 6:00 pm SHARP. Arrive early to get in your group! BEST RIDE ON THE LAKESHORE, FROM EASIEST TO HARD AND FAST! B20 : 39 miles, a computer reset at Robbins Rd. will read 20 mph average back at the return to Robbins Rd. 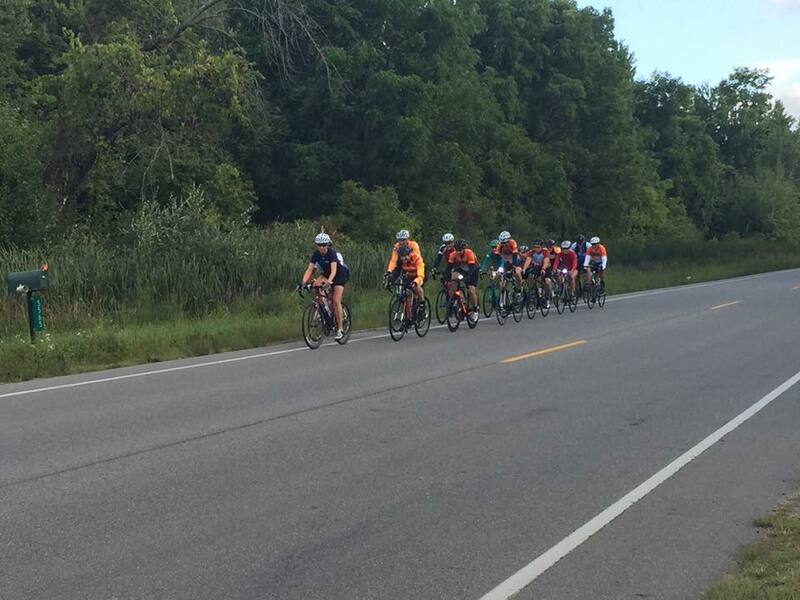 This group will "cruise" at 21 in a neutral wind, and average 20 with turns and hills. B+ : 40 miles, 22+ spirited double line rotation with sprints, collecting the residue from A. May combine with A after Riley Equalizer. A: 42 miles utilizing the Riley Equalizer, 23+ ave. with sprints and motivated stretches of club race pace; will drop riders to B+. Dropped riders may just ride with next group coming up the road. There is no sprint at Robbins Road. Really. Obey all traffic signals and stop signs through town. Beverages from Old Boys' Brewhouse to follow. Leave at 6:00 pm SHARP. WEDNESDAY RIDE, Holland. Leaves 6 PM sharp. Starts March 12 with Daylight Savings Time. Holland. Easier pace. 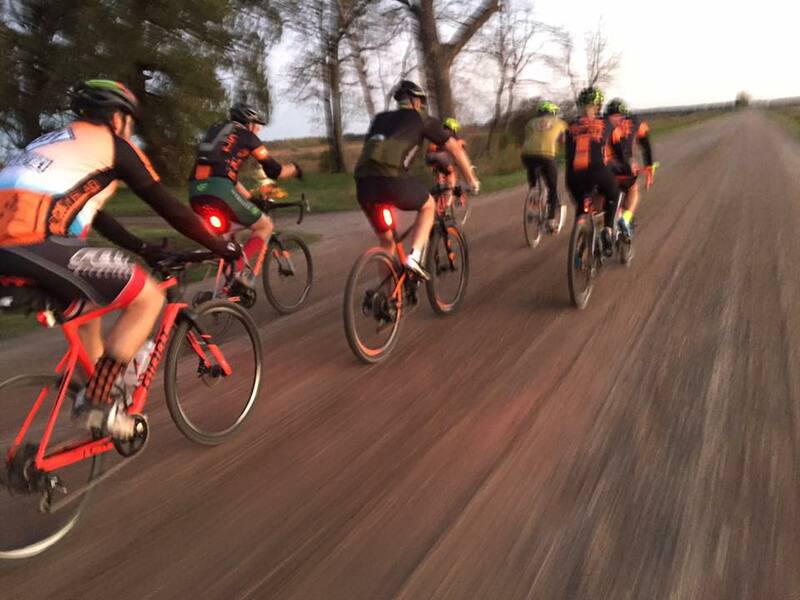 Wednesday, leaves from our store at 954 Butternut (at Riley) at 6:00 pm, 26 miles. Faster group too! Same time/place, 35 miles. Free first beverage at Turk's; many riders stay for dinner. May park either at Rock 'n' Road Cycle or Turk's Inn. A, B 40 miles, C 32 miles. Starts 6:00 pm SHARP, beverages following. 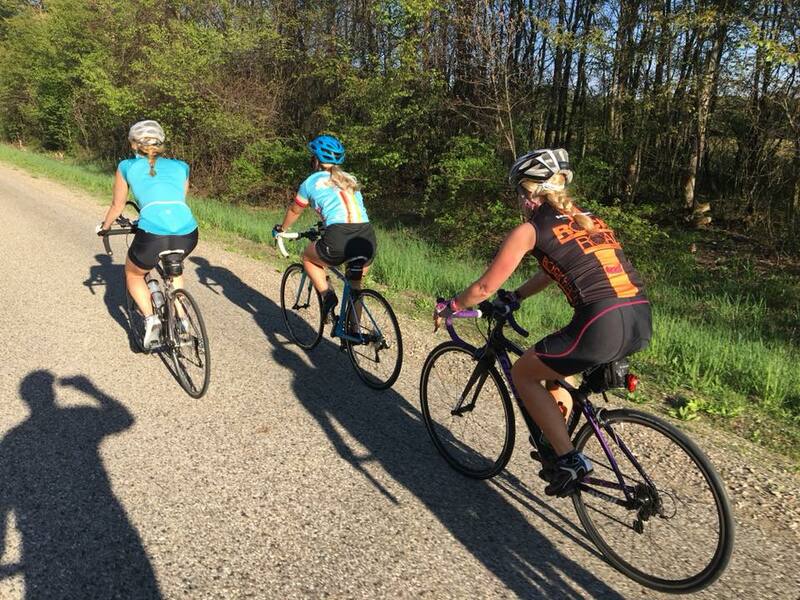 These rides provide virtually traffic-free cycling on some of Ottawa County's most beautiful country roads. Imagine Leonard Road with more deer than SUV's! Memorial Day Canadian Century, May 27, 2019. Ride 100 kilometers through the valley of the Grand River, coffee stop in Allendale, returning well before noon for family activities. Pump tires and find your shoes the night before. Don't forget money for Biggby stop in Allendale. Ride 100 kilometers through the valley of the Grand River, coffee stop in Allendale, returning well before noon for family activities. Maps provided with SHORTCUTS, as little as 43 miles possible and still meeting for regroup at Biggby Allendale. 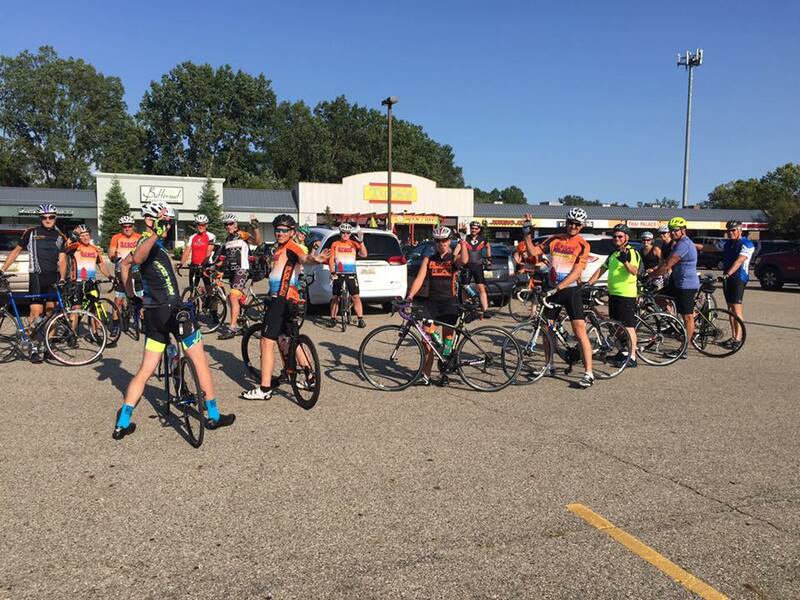 Meet at ROCK 'n' ROAD Cycle Grand Haven by 6:45 to split in two or three groups, leave at 7:00 SHARP. Pump tires and find your shoes the night before. Don't forget breakfast money.